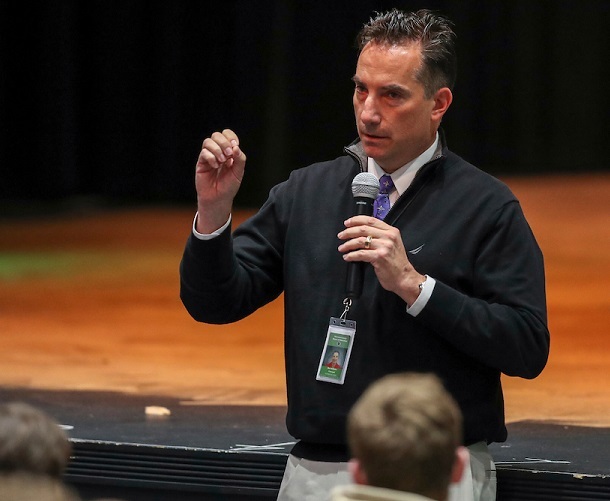 It wasn’t too long in the distant past that Bridgeport High School Principal Matt DeMotto’s predecessor, Mark DeFazio, was letting the public know just where he stood on legislation he felt impacted his students. That legislation had to deal with allowing home-schooled students to participate in sports and other extracurricular activities at schools in their district. The legislation failed. DeFazio’s emphatic opposition to it was a success – at least for those seeking a brutally honest assessment of where a person stood on a matter. Fast forward to February of 2019. There’s another bill in the West Virginia Legislature that could impact sports and extracurricular activities statewide. This time around it’s Senate Bill 451 and is loaded with a lot of items that has led to a whole lot debate. Since it’s in this blog, the focus is on an area involving sports in particular and extracurricular events in general. The issue? Charter Schools. Actually, on the sports front it’s allowing kids that would go to Charter Schools to participate in sporting and other extracurricular events at another school if not offered at their Charter School. And if they do have the sports, well their guidelines may be quite different from all others. As of Friday, the legislation was being revised that called for only two Charter Schools in the state. That, of course, could change to another number or be removed completely as it works its way through the West Virginia Legislature. Another issue, which we won’t delve into here, is money. Coaches, teachers and advisors involved with sports and extracurricular activities aren’t likely making but a few dollars on the hours – at least the ones who are committed and there are plenty. Charter Schools, they believe, will cut into an already fully committed financial pie. As for the WVSSAC who represents all the schools and their principals? Yeah, they’re not too happy either. So what about DeMotto, the new man in charge at BHS? He sure sounds a lot like DeFazio with his point without the often hilarious and pointed commentary of his predecessor. DeMotto was clear to point out that this isn’t an athletics argument or extracurricular argument. He was very clear it’s an academic one that involves those two aforementioned areas. “We promote education-based athletics. We do not promote athletic-based education. We use all of our extracurricular areas as a tool to help us with our primary mission, which is academics,” said DeMotto. “More than half of our students participate in at least one extracurricular activity. Getting to BHS, however, doesn’t give you the golden ticket to participate. There are conduct guidelines, grades and – as listed above – getting there on time among other things that have to occur. DeMotto said they keep the playing field level. Being sick isn’t the only issue. DeMotto said there are dozens of variables and many he said would be hard to think of until it happened. DeMotto, who said he is opposed to the Senate Bill, said if it passes and Charter Schools come to creation the solution on the sports front that has caused ire amongst groups representing coaches and the schools is simple. “If Charter Schools exist then they would need to create their own programs the same as all the WVSSAC member schools and then join the WVSSAC,” said DeMotto. “Would it be fair for BHS to supply uniforms, equipment and other items often raised through fundraisers to be given the same items? Would it be fair to give up facilities to those in Charter Schools? Add to that students coming in to compete against our students for sometimes limited opportunities on teams and clubs. 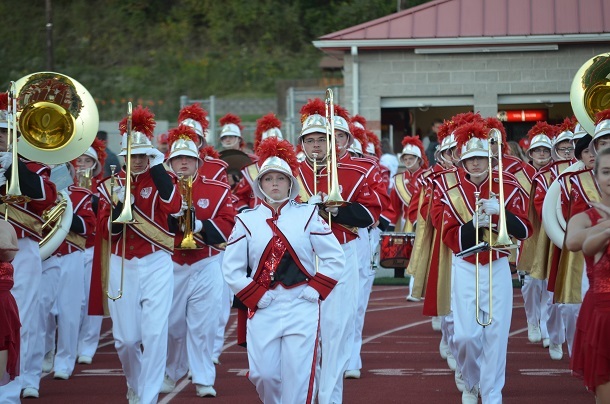 Editor's Note: Top photo shows BHS Principal Matt DeMotto, while the next three photos - football, band and volleyball - are just of some of the extracurricular activities at the school. Photos by www.benqueenphotography.com.